Website created 17th of July, 2008, in the room of a nerd, as a dedication to the old NES game developed by Beam Software, and published by Ultra Games back in 1991. A little late, you say? Fine. 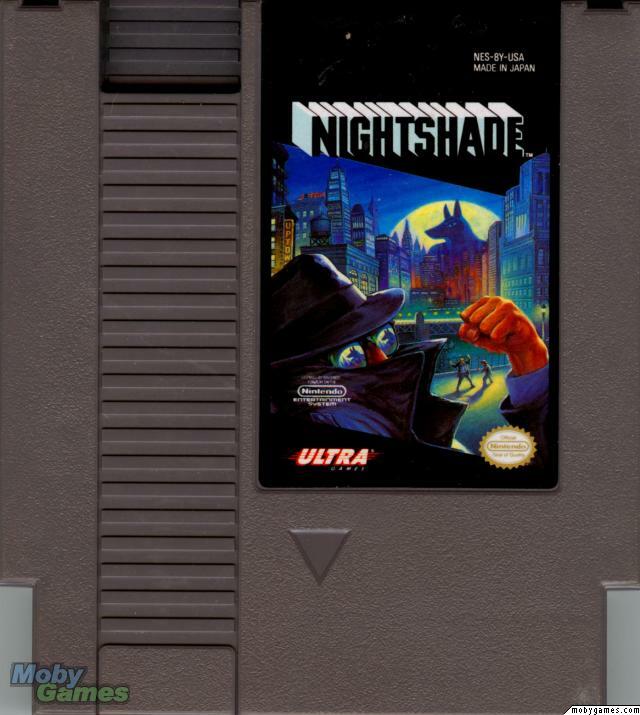 But there's no other Nightshade fansite out there to my knowledge. So, I'd just say it's about damn time. Plus, it may make more people open up their eyes to the game. Too bad they didn't keep making the series - like they were suppose to (unless ''Part 1'' was just another joke!). But who knows; someone might consider making a fan sequel some day, or maybe a remake. As long as it kept the gameplay and the cheesy jokes, I'd be happy. The game DOES have a spiritual successor, however. Shadowrun for the SNES. - According to Paul Kidd (the director), the deadline for Shadowrun was extremely tight, and he and the other staffers had about six months to assemble the game. 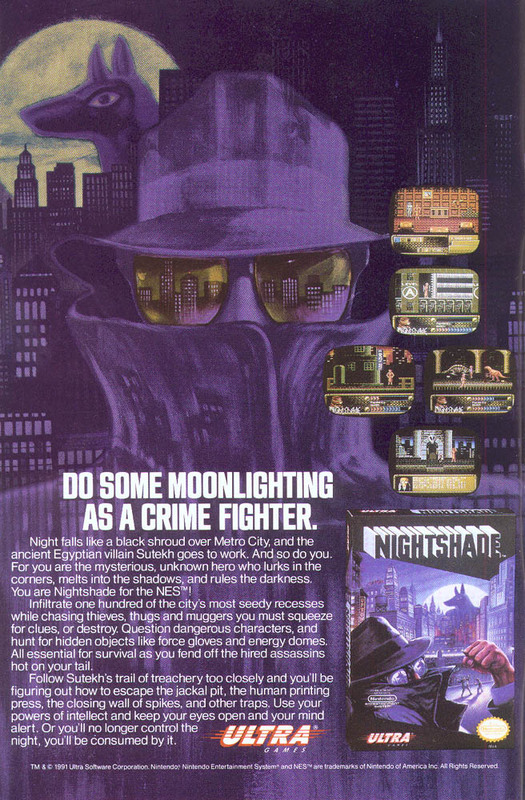 "That meant using the guts of Nightshade as the basis for Shadowrun," he explains. "We made improvements and changes, but the basic concepts were pretty much the same." ...Damn. This section sure is random.